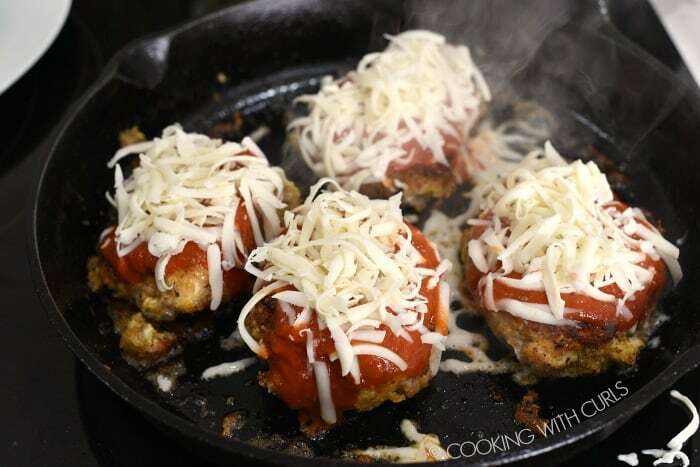 Crispy Parmesan crusted chicken breasts topped with tomato sauce and melted mozzarella cheese will fool your brain, and make you doubt whether or not this Keto Chicken Parmesan is really gluten and grain free! Just close your eyes and keep enjoying your meal…..
Doesn’t that look amazing? 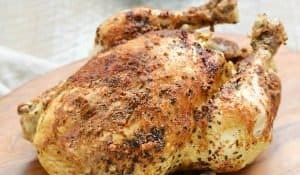 Just because you gave up carbs (or need gluten-free) does not mean that you cannot enjoy your favorite foods, you just need to make a few adjustments. 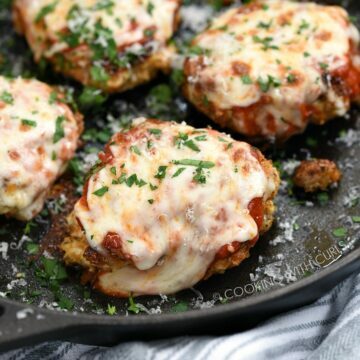 Keto Chicken Parmesan is proof that you do not need to feel deprived, you can still recreate your family’s favorite meals. 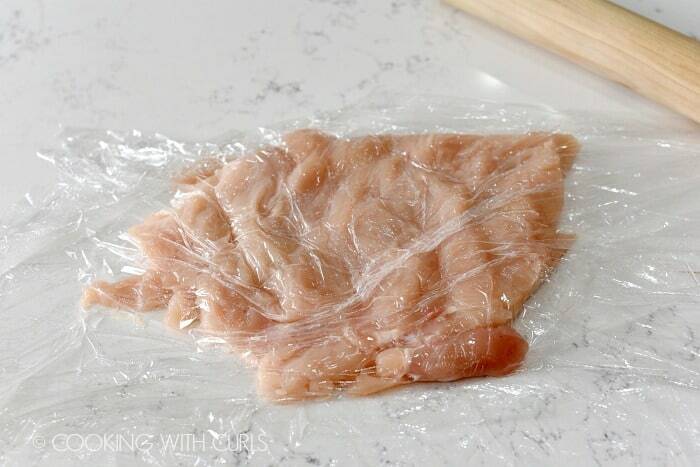 Place chicken breasts between two sheets of plastic wrap on a solid surface. 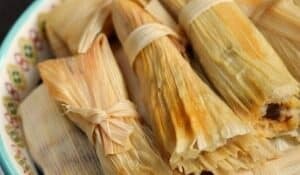 Pound with a rolling pin until they are an even thickness. 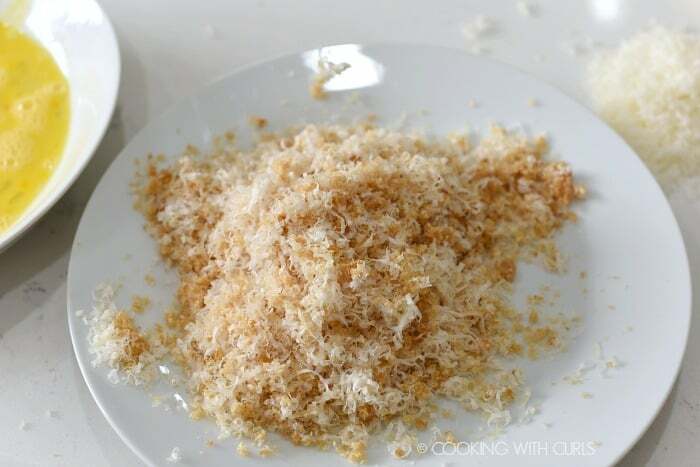 Place pork rind crumbs on a large plate and mix with the Italian seasoning, garlic powder, onion powder and grated Parmesan cheese. Set aside. 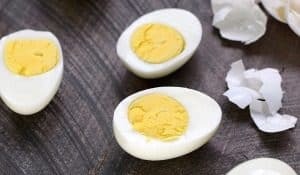 Beat eggs in a small bowl and set on the counter next to the plate with the coating. Heat oil over medium-high heat in a large skillet. You will need more oil if you are using a stainless steel pan, less if you are using non-stick. Dip a chicken breast in the eggs, then dredge in the coating mixture. 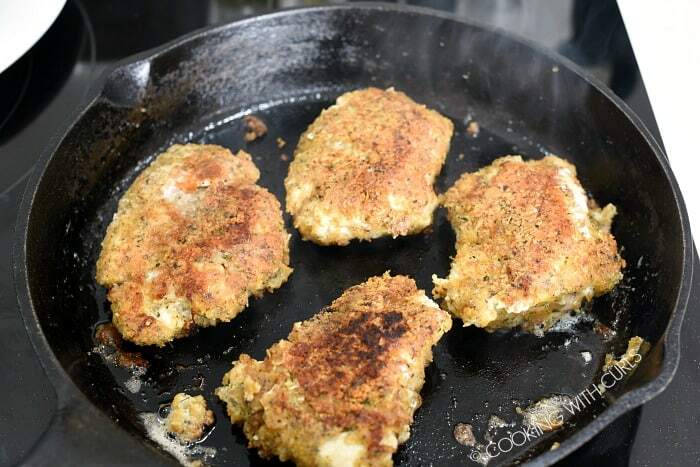 Set on a plate and continue with the remaining chicken breasts. Spoon the sauce over the chicken and sprinkle with the mozzarella cheese. Place in the oven under the broiler until cheese starts to bubble and melt. Serve immediately with your favorite gluten-free side. 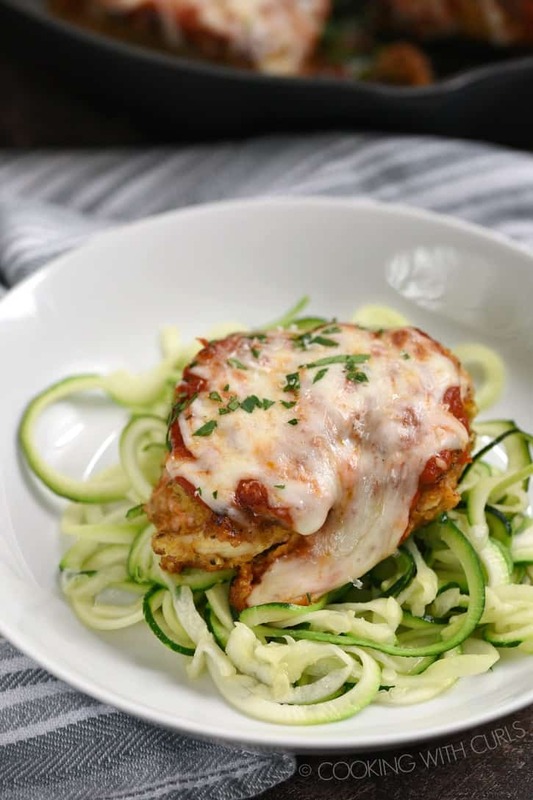 I served my Keto Chicken Parmesan on top of a bed of zucchini noodles that were tossed with butter, garlic powder and onion powder in a non-stick skillet. Easy Peasy! If you do not eat or like pork, substitute flax meal for the crushed pork rinds. Pulverize the pork rinds in a food processor or crush them in a large zipper top bag with a rolling pin. My chicken breast was enormous! Once it was pounded, I cut it into 4 even pieces. I used ALESSI All-Natural Marinara Sauce. It was the only one at the grocery store that was sugar free. 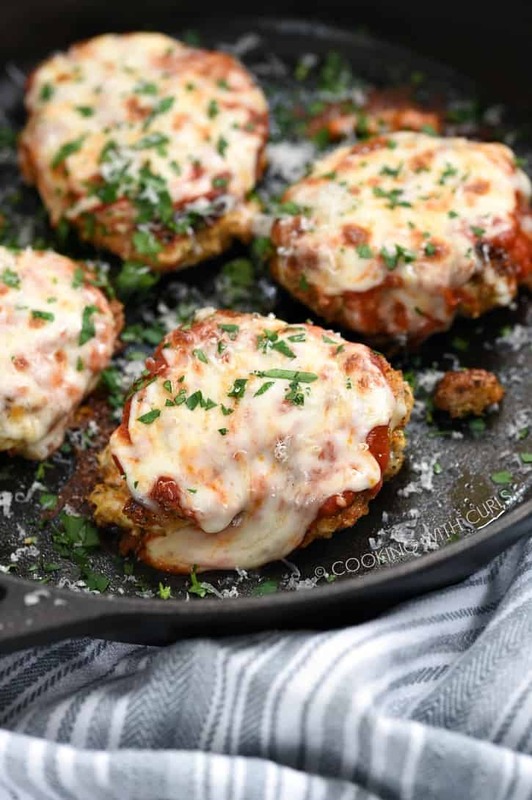 Melted cheese, crispy coating and rich tomato sauce will make you forget that this Keto Chicken Parmesan is gluten-free! Pulverize the pork rinds in a food processor or crush in a large zipper top bag with a rolling pin.